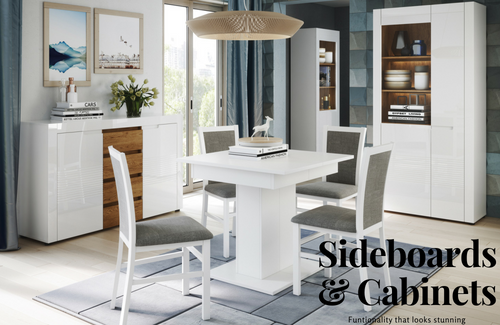 We have the Largest selection of sideboards with drawers and glass doors available with fast free delivery throughout the UK. Before buying a buffet or display cabinet with glass doors it is extremely important to make sure you have measured carefully to make sure the item fits into the allocated space. Many types of display cases available in many designs and colours. Adding some extra bookcases and shelving units to your home is a simple and effective way to keep things neat and tidy. We have a range of sizes and shapes to store your library and display your favourite ornaments. Complement your interior dècor by choosing bookcases and shelving units in matching materials and hues, or make a statement with a bright pop of colour. We offer a huge range of free standing wardrobes with sliding doors in all sizes and colours with fast free delivery on all items. Corner wardrobes with excellent internal storage layout options available comprising of shelves and double hanging rails. All of our corner cupboards are free standing and don't require any wall mounts. Modern flat packed wardrobes have been around for many years but designs have been improving along with styles and trends. 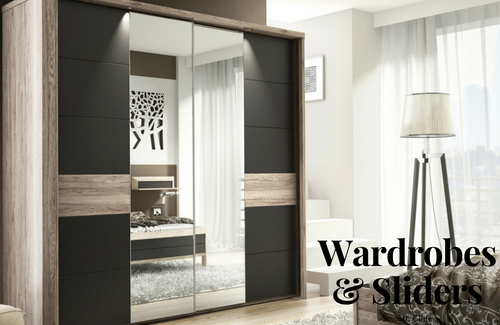 Large and small sliding wardrobes with many size and style options. 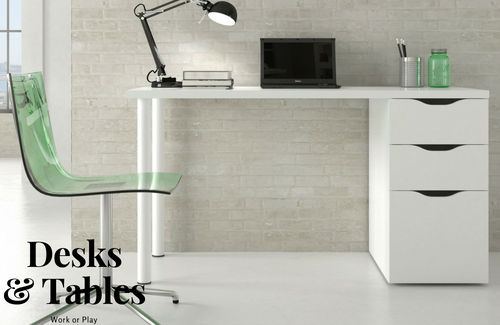 Our sophisticated range of white corner desk with drawers is a perfect example of utility and elegance. White corner computer desk with drawers come in all variety of colours, heights, and space. These corner desks make your workstation look sophisticated and organized. Designed to look elegant in an office setting, this useful, spacious and sleek item not only offers an excellent storage solution but also makes your workstation well-organised. With more than 16 years in the furniture trade, RONZ furniturefactor has been wholesaling furniture to many retailers in the industry. We are now open direct to the public due to customer demand. We offer elegant contemporary modern furniture and utility storage solutions. Our timeless and enduring designs along with a good relationship with some of Europe's largest furniture manufacturers put us in a great position to supply a huge range of quality furniture at the cheapest prices. We welcome you to visit our furniture shop in Leicester where we have tried to display some of our top selling sliding wardrobes, white gloss sideboards, display cabinets and utility storage furniture.